Willow Grove is a census-designated place (CDP) in Montgomery County, Pennsylvania. A community in Philadelphia's northern suburbs, the population was 15,726 at the 2010 census. It is located in Upper Dublin Township, Abington Townshipand Upper Moreland Township. Willow Grove was once known for Willow Grove Park, an amusement park that was open from 1896 to 1976, now the site of Willow Grove Park Mall. 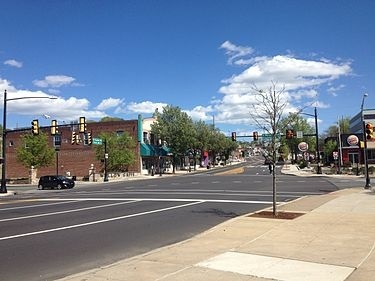 Willow Grove is considered an edge city of Philadelphia with large amounts of retail and office space.